Heat oven to 375°F. Spray 13x9-inch (3-quart) baking dish with cooking spray. 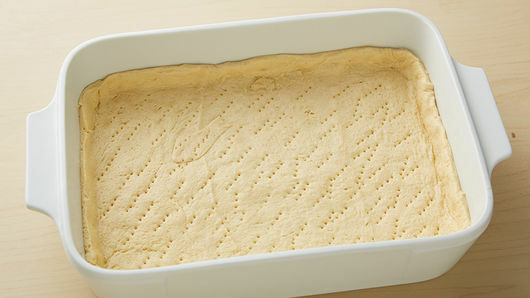 Unroll dough in baking dish; press in bottom and 1/2 inch up sides of dish. Prick all over with fork. Bake 8 minutes. 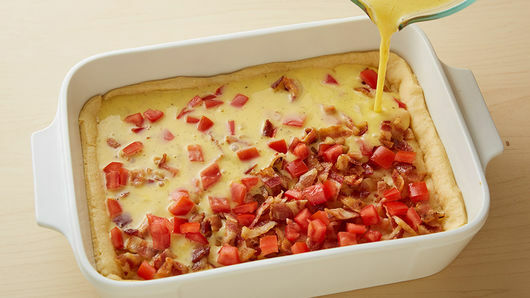 Sprinkle bacon and 1/2 cup of the tomatoes evenly over dough. In medium bowl, beat eggs, milk, pepper and salt with whisk until mixed well. Pour mixture over bacon and tomatoes. 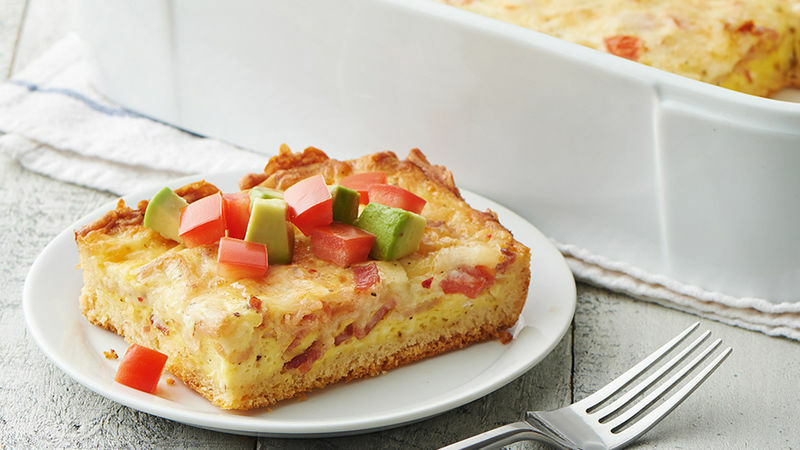 Sprinkle cheese evenly on top. Bake 20 to 24 minutes or until knife inserted in center comes out clean and crescent crust is deep golden brown. Cool 5 minutes before serving. Top or serve with remaining 1 cup tomatoes and the avocado. 1 can (8 oz) Pillsbury™ refrigerated crescent dinner rolls can be substituted for the dough sheet. Be sure to press seams together. Don’t care for spicy cheese? Shredded Colby Jack cheese can be substituted for pepper Jack.